Bandero transformed a previously vacant nook outside the Toyota Center suites into a drinking destination. 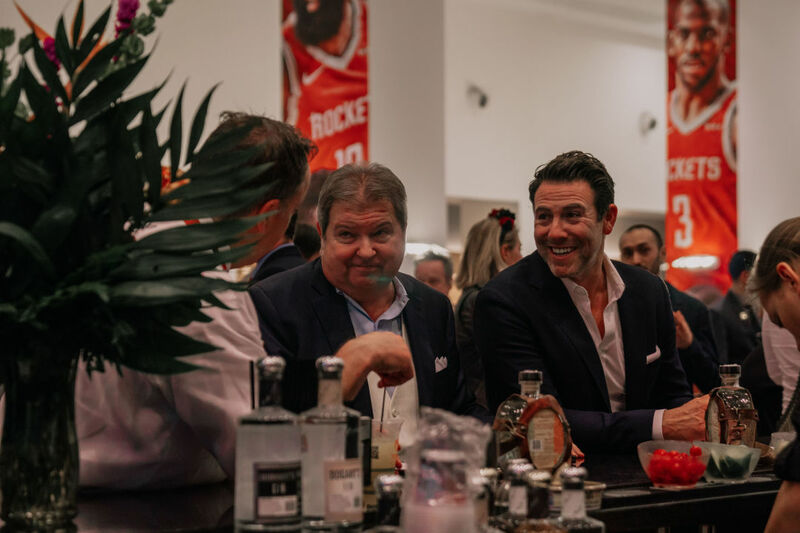 A new tequila terrace at the Rockets' home court means James Harden isn't the only one taking shots in the Toyota Center anymore. 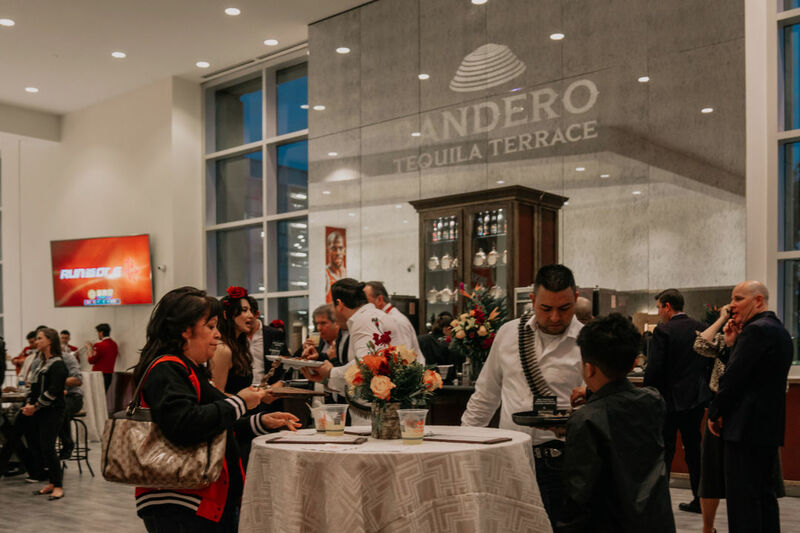 In a two-week transformation, Bandero Tequila converted an empty nook outside Toyota's suites into a bar and social space. 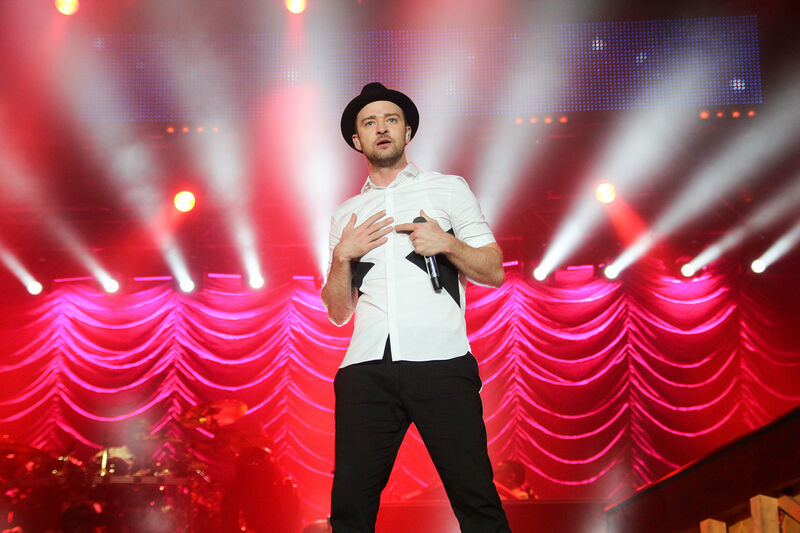 The terrace, unveiled last month the same night the Rockets bested the Lakers 126-111, is open to ticket-holders for all home games plus concerts and other events hosted at Toyota, recently ranked the 14th most Instagrammable arena in the country (score). The partnership between the Rockets and Bandero, a spirit from the highlands of Jalisco, Mexico, isn't as random as it may seem: Bandero is part of ROK Drinks' spirits portfolio; if that name sounds familiar, it's because you've seen a version of it on your favorite players' jerseys since last fall when, in a particularly fittingly-named, four-year deal, tech brand ROKiT became the Rockets' inaugural jersey sponsor. Both ROKiT—known for its more affordable mobile phones that use NASA technology—and ROK Drinks are part of the larger ROK Brands umbrella that's grown increasingly visible around the Toyota Center. Bandero Tequila Terrace, for instance, joins Bogart's Lounge—a hidden, floor-level space for platinum ticket-holders that feels more like a speakeasy than a stadium bar—home to bespoke cocktails made from Bogart's Gin, Vodka, Rum, and Irish Whiskey, all part of ROK Drinks. A third Toyota lounge space will be reimagined as a beer garden for ABK Beer. As for the tequila terrace, it's hard to miss thanks to a floor-to-ceiling mercury mirror behind the bar, and—on opening night—mariachi performances. 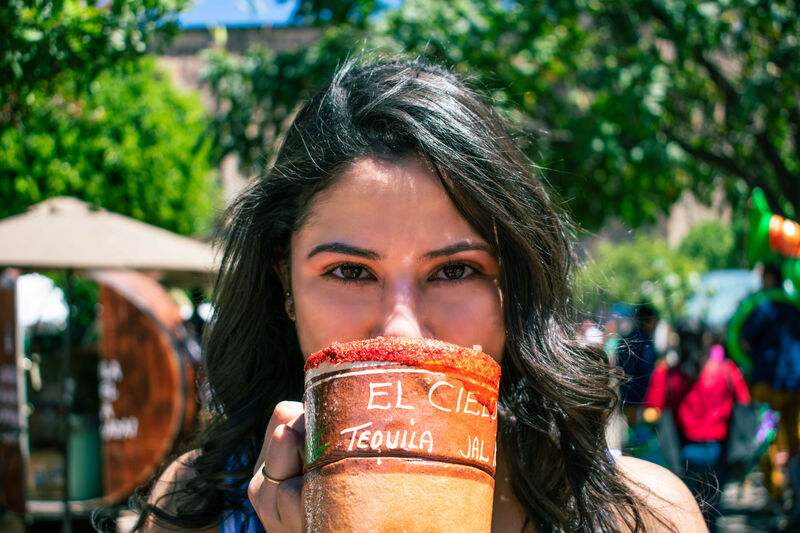 There are also quieter nods to the spirit's Mexican roots, like an image embossed on the bar mirror that alludes to Los Guachimontones, the world's only circular pyramids. The prehistoric archaeological site is nearby Bandero's Guadalajara distillery. 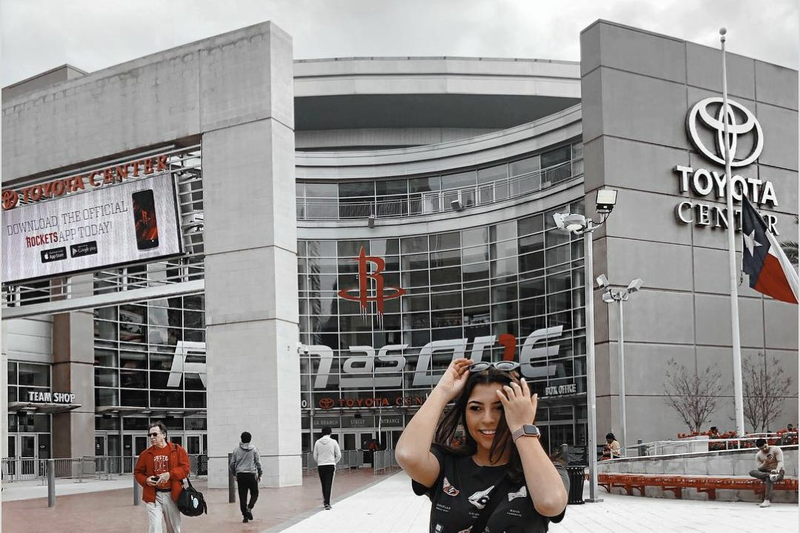 Is Houston's Most Instagrammable Location...the Toyota Center?